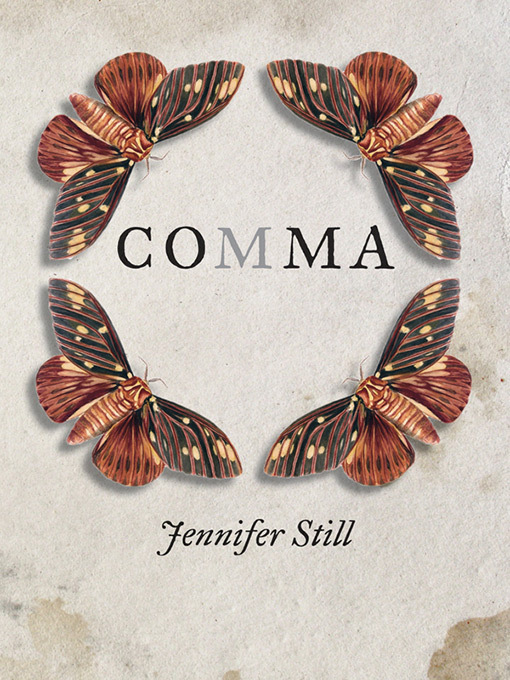 This week’s edition of Feature Friday shines a light on the beautiful work of art and poetry that is Comma, the third full collection by award-winning writer Jennifer Still. 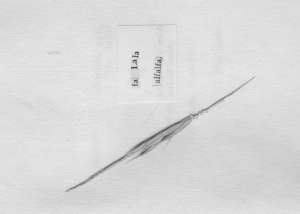 Between 2008—2014, while her brother was in a lengthy coma, Still engaged in a private collaboration with the art and wonder that was his handwritten field guide of prairie grasses. 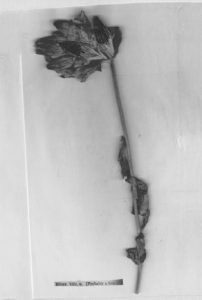 In the brittle lexicon of botany, and in the hum of the machines keeping her brother alive, she was moved by an overarching impulse of grief to develop a hands-on method of composition that plays with the possibilities of what can be ‘read’ on a page. The result: the stunning works of poetry and imagery encapsulated in Comma. A coma is the blurred appearance of an object as seen under a microscope. A tuft of hair at the end of a seed. The full-stop, when magnified, is a meteor burning through all our meaning. Every sentence ends with the 22 amino acids it takes to seed a planet. A sundog is a coma, the broken halo of your mouth. You smile 22º distant above the horizon. The horizon is a highball. Your gloriole, your zero glyph. We shoot you backlit, into the sun. New fallen snow reflects 95 percent sunlight. You drift out in moonboots, printing the sky. A coma is a comma, the starfall of your hair. I wait for you in the comb sounds. For your 33rd birthday we burn all the leaves. Watch the air crumple the blanks in your eye. That there are ways to gauge a cloud emptying, but not this, the radius of a breath. I’ve heard in a pinch the incision can be made with a Bic. We are trying to imagine the length you will need to write a word without yanking out the tube. I think of the Unknown Comic’s paper mouth. Voice delivered from a slit. The remarkable sadness at the kindergarten door waving with strings tied to our wrists. Is this hope now? The nurse calls them ribbons instead of restraints. When I read vitals all I see are vials with a cross inside. Vespa, paper: home with the sewn-up eyes: home with the open mouth. 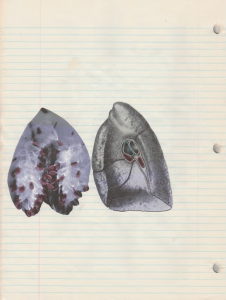 Listen: the nest is chewing out an ear, the page on its way to the soft consonant. Heart, is that you, dug up to your gums? We have been sleeping for so long the night has rearranged its teeth. Emptiness, you have far more body than I imagined. What is breath but the parceled, celled interiors. The thin-coiled rheostatics of swarm? Voice begins in the hum on a stick, each molar fine-grinding the cold salt of Wonder Bread and macaroni bologna. The dentist hands over my mouth in a paper bag. I wonder if the page is anything more than a sewn-up gasp. Did you hear the air collapse when plastic was discovered? When we couldn’t put our heads inside? I carry my mouth home at my hip. It sits in my office under “ideas for poems.” I am thinking about construction. How speaking is its own joint. I see it right there in the Dixie Cup that holds my grandmother’s overbite. The dentist suggests a nightguard. There’s a clench in the air. Order your copy of Comma here. Jennifer Still’s first collection, Saltations, was nominated for three Saskatchewan Book Awards. 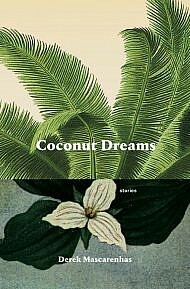 Her second collection, Girlwood, was a finalist for the 2012 Aqua Books Lansdowne Prize for Poetry and the first-prize winner of the John V. Hicks Manuscript Award. 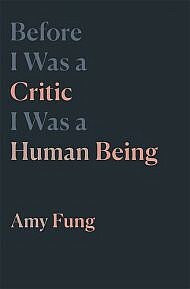 That same year, she was awarded the John Hirsch Award for Most Promising Manitoba Writer, and in 2013, she won the Prairie Fire/Banff Centre Bliss Carman Poetry Award. Still has served as faculty for the Banff Centre for the Arts and Creativity Wired Writing Studio and is a poetry editor for CV2. She was the 2015 University of Winnipeg Carol Shields Writer-in- Residence and will be the 2017 Writer/Storyteller-in-Residence at the University of Manitoba’s Centre for Creative Writing and Oral Culture. She lives in Winnipeg.